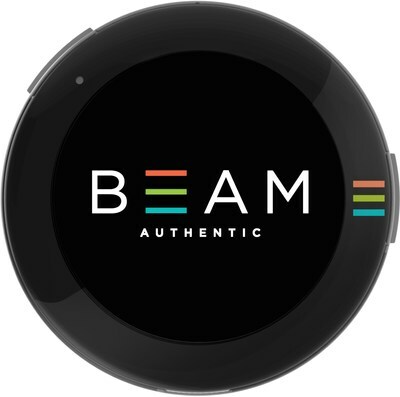 SAN FRANCISCO, Jan. 30, 2018 /PRNewswire/ -- BEAM Authentic today announced the availability of BEAM for Business, its BEAM software app and the BEAM smart wearable display buttons for businesses and other organizations, enabling team members and employees to broadcast brand messaging, core values and sales promotions instantly to customers and prospects. BEAM devices have a round AMOLED screen, with 24-bit color, making the digital device the modern-day version of static, analog expression that has been part of pop culture on buttons, hats and T-shirts and wristbands for decades. The BEAM software and app allow for content creation and distribution to employees with BEAM devices. BEAM Authentic's B2B offering comes on the heels of the launch of BEAM for consumers last month. BEAMs are available for purchase at a volume discount starting today, and the BEAM app is available on both iOS and Android. View a video how BEAM for business works here. BEAM for business provides a platform for companies, organizations, celebrities and other brands to distribute content to their employees and followers via the BEAM app (or "BEAMSTREAM") as well as live to their BEAM devices. As this plays out, a whole group of BEAMers physically together or geographically dispersed can automatically stream the same content at the same time, helping to promote daily goods and services (like promos or sales in retail locations) or execute on a call to action by supporting or donating to a meaningful cause or nonprofit. "We had volunteers at our big annual 'WE Day' event in NYC wear BEAM devices to help promote our cause," says Nicole Jacobs, Manager of Partnerships at WE.org, an organization that helps people create positive social change. "The quality of the imagery on the BEAM devices was incredible and helped volunteers tell a story about what WE does with compelling visuals." 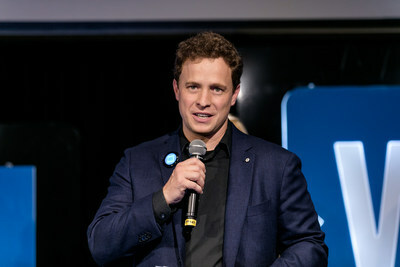 "BEAM was an amazing amplifier of our messaging and connected people in conversation at the F Cancer event in LA," says Heather Kun, Executive Director at F Cancer.org. For more information on the company, BEAM for Business or the BEAM device, please visit the website at www.beamauthentic.com or email BeamTeam@beamauthentic.com. For media inquiries please contact Kimberly Angell of Wish Public Relations at kim dot angell at wishpr dot com or (415) 471-7272. BEAM is a platform combining a mobile app and a wearable smart button that enables people to broadcast what they care about in the real world and online, sparking face-to-face conversation and connecting people around shared interests. Founded in 2015 by social entrepreneur and innovator Andrew Zenoff, BEAM is based in San Francisco and backed by prominent technology and philanthropic notables, including Marc Benioff, Anne Wojcicki and John and Regina Scully (SPO Partners & Co) among others (see full list on Crunchbase).